Muscle Shoals, Alabama is approximately 30 miles south of Tennessee and approximately 20 miles east of Mississippi. 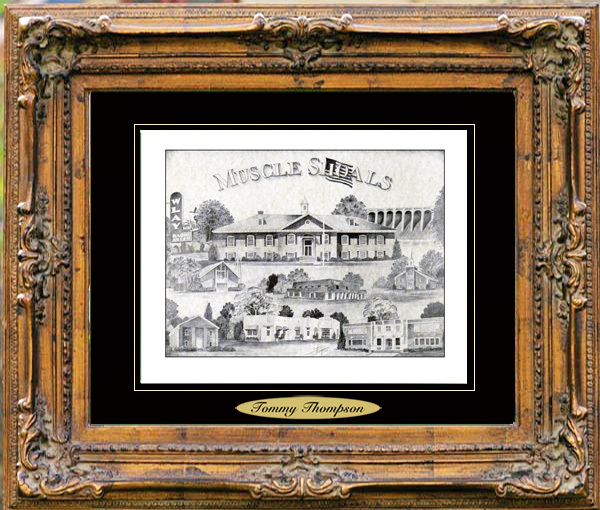 Muscle Shoals touches the banks of the Tennessee River, which is a source of the rich history of the town. Indians first inhabited the lands bordered by the Tennessee River that we call the Shoals area today. In 1918 a year after the United States entered World War I, the building of Wilson Dam began. The United States needed nitrates for ammunition and explosives, prompting President Woodrow Wilson to approve the building of two nitrate plants and a dam to supply needed electricity for the plants. The first nitrates were produced in November 1918. In 1921 automotive tycoon Henry Ford, accompanied by Thomas Edison, came to Muscle Shoals with a vision of transforming the area into a metropolis. The rumors of Ford’s plan hit the streets and real estate speculators began buying up land. Congress turned down Ford’s offer to purchase Wilson Dam and formed the Tennessee Valley Authority (TVA) to develop the dam and the entire river valley. TVA began a comprehensive program of river and dam development. This contributed to the conservation and utilization of natural resources.